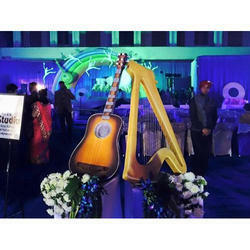 Among our wide range of products, we are offering a wide range of Ladies Sangeet Decor. 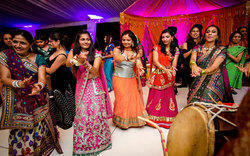 Sangeet ceremony as the name suggests is all about dance and music. It is one of the most enjoyable ceremonies before the wedding and is exclusively for women. Sangeet ceremony is held few days before mehndi ceremony and comes as a time for joy and merriment amidst the hectic hustling bustling activities before marriage. Using Chinese lanterns and traditional Chinese influences to decorate the venue; Floral Dragons and Chinese silk umbrellas as props and welcome girls clad in traditional kimonos to add an exotic flair to the wedding affair makes this an unusual theme for an Indian wedding. Supported by immense industry understanding and highly capable crew of employees, we are presenting Mahila Sangeet Event. These provided services are delivered under the stern supervision of adroit personnel as per set industry principles. In addition to this, these provided services are attributed amid our client for reliability and cost effectiveness. make them momentous and with full of celebrations.